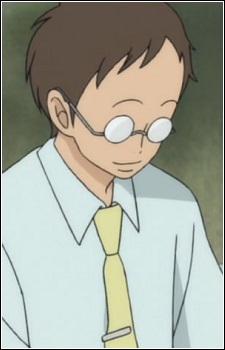 The original home room teacher of Sawako's class. He and Pin have the same surname, but are not related. To distinguish between the two teachers Yoshiyuki Arai is called "Zen." "Zen" is an alternate reading of the kanji for "Yoshi." He seems to be afraid of Sawako and the rumors surrounding her as "Sadako." Because he is easily ill, students often believe that Sawako has cursed him. Arai is a newly-wed.